AMAZING Foodie tour on Bernard, fun, fast & fabulous! Enjoy 8-10 tasting stops! HomeIndulgeFoodie Tours Bites on Bernard Foodie Tour – fun, fast-paced tastings with all food included! A fast paced, eat-on-the-go tasting experience up and down Kelowna’s eatery filled Bernard Avenue! A maximum of 10 per tour so book early! Everything Included. The 8-10 stops will leave you full! This exceptional Foodie Tour runs Tuesdays from 1:00 – 3:30 pm and stops at 8-10 different eateries along Kelowna’s tourist-friendly Bernard Avenue. It’s your opportunity to try out our Okanagan version of street food. Your fun and informative guides will lead you to the various tasting venues all the while sharing interesting entertaining cultural and historical facts about the area. You’ll be served your food tastings just outside some of the best eateries in downtown Kelowna. (The amount of food samples per person is generally enough to leave you feeling full.) Grab your chance now to taste the best the Okanagan has to offer! Why take a Foodie Tour? Because it’s a great opportunity to sample new foods and restaurants you might never have tried otherwise. This makes it a terrific tour for tourists and locals alike! It’s a great way to explore the dining venues of the Okanagan; from upscale restaurants to mom & pop establishments and cafes. All the food samples have been carefully selected for your dining pleasure! You’ll learn about the area as your guide shares amusing and interesting cultural and historical facts and stories. You can meet the local owners and chefs and make new friends with the Foodie buddies you meet on the tour. We bet you’ll end up with a new favorite dining location or two! There is a maximum group size of 10. 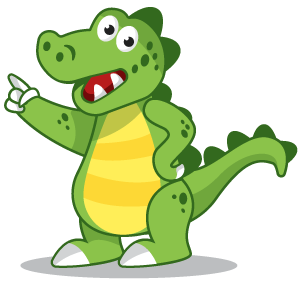 If you have a larger group, email us and we can make arrangements for you info@giftgator.ca. If you’re single this is also great for you if you’d like to try something different in a fun and relaxed atmosphere. This is a walking tour with limited opportunities for sitting time. Wear comfortable walking shoes, and as tours go rain or shine please dress appropriately. If you, or someone in your party, has mobility issues or is confined to a wheelchair please let us know so that we can ensure that suitable arrangements can be made info@giftgator.ca. If you have serious dietary restrictions please email us at info@giftgator.ca and we will advise the food stops in advance. There is no guarantee that all eateries may be able to change the menu on short notice, however, with the number of tastings included you are asked to use your own judgment regarding eating or skipping food samples. All food costs and gratuities for restaurant staff are included in the price. All tickets must be purchased in advance so the restaurants can plan and prepare. Tours can and do sell out so don’t delay in booking for the date you want. Kelly O’Bryan’s. An Irish-themed restaurant known for serving up fun as well as great food. The Munkey’s Fist. Casual dining and a varied menu is what you’ll enjoy here. The Bread Co. With over 165 years experience baking up unique breads and pastries. Hoolala Chicken Cafe. A new Korean restaurant known for its BBQ chicken and seafood with authentic seasonings. Grateful Fed. A music-themed eatery with a unique menu and decor. Momo Sushi. A sushi bar featuring a vast array of Japanese dishes. Sunny’s – A Modern Diner. Sunny’s offers chef-inspired breakfasts and lunches with a modern twist. Salt & Brick. An open kitchen concept serving artisan small plates and shareable fare. Bliss Bakery & Bistro. Finish off your tour enjoying this bakery that makes everything themselves from sweet to savory. Refunds or rescheduling will be allowed with more than 48 hours notice. Rescheduling or cancellation requests with less than 48 hours notice cannot be refunded.